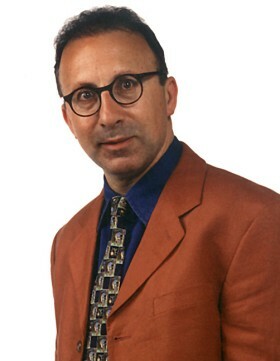 Elliot Goblet is well known for his television appearances as a guest comedian on variety shows. However 90% of his work is as a corporate entertainer at events like conferences, product launches, dinners and client parties, where you'll see a more animated and more personable Elliot Goblet. For more information, download the Elliot Goblet PDF brochure by clicking here. Whether doing a 20 to 50 minute spot or acting as the MC, in total Elliot Goblet has done over 1000 of these events and his major strength is his ability to write some tailored material for each presentation after efficient research into the industry, company or association, and the people who might be good comedy targets (if appropriate). Through his specific tailoring Elliot Goblet can provide his clients with solid benefits such as improvement in motivation and improvement in communication. Additionally he'll make a positive emotional impact and give his audiences plenty of laughs.